Seth Goyal ('17) wrestles with his Fremont opponent. Goyal went on to win his match 16-10. The Paly wrestling team lost to Fremont 63-13 at their first dual meet of the season at home on Tuesday, Jan. 6. Keahi Asing (’18), Seth Goyal (’17) and Chioke Bryant-Anderson (’15) all scored for the Vikings. Alexa Austin (’15) was proud of her team, especially the underclassmen wrestling for the first time. Coach Braumon Creighton also acknowledged the difficulties that were faced by his younger wrestlers. Asing wrestled in the 106-pound weight class and pinned his opponent. Nicholas Ogawa (’18) wrestled for the 113-pound class and was pinned. Austin was also defeated, losing 11-1. The score was 10-6 in favor of Fremont after the first three matches. In the 126-pound match, Goyal won 16-10. The wrestlers in the next two weight classes, James Giaccia (’15) and Nicholas Dias (’18), were both pinned, and Ian Garduno (’17) lost by a technical fall. Garduno also lost a point for Paly for poor sportsmanlike conduct. 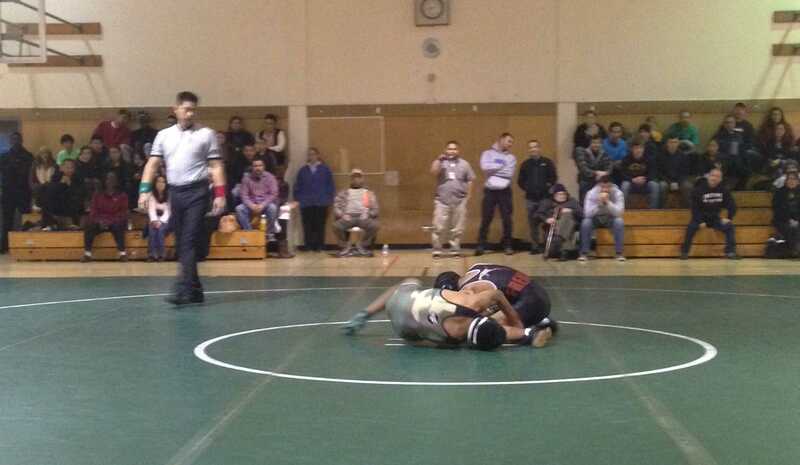 Paly forfeited the 152 pound match and both Emil Wolfgramm (’16) and Sara Aguilar (’17) were then pinned. Bryant-Anderson won by a technical fall in the 182-pound weight class to give the Vikings some final points. The 195-pound match was forfeited, and the final wrestler of the night Tajae Murray (’18) was pinned to finish up the match. The final score was 63-13. Goyal believes that his team needs to bring up the intensity in order to succeed in the rest of their season. Austin echoed Goyal’s opinion, stating that the season was going to be tough but that there was plenty of potential. Despite the loss, Creighton remained positive about the rest of the season and was supportive of his team. The Vikings will compete in tournaments the next couple of weeks. The next dual meet will take place on Jan. 22 against Cupertino at Paly. Kylie is an editor-in-chief and the business manager of The Viking. 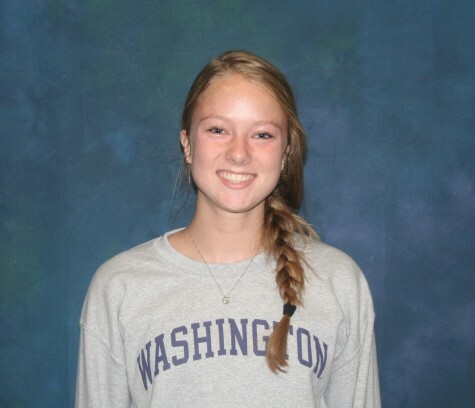 She is a senior at Palo Alto High School and she loves to play soccer and lacrosse.